Tuesday – Thursday: 5 p.m. – 10 p.m.
Friday & Saturday: 4 p.m. – 11 p.m.
*Sunday & Monday – Closed. Tuesday – Thursday: 4 p.m. – 11 p.m.
Friday & Saturday: 4 p.m. – midnight. Welcome to Vinnie’s Steakhouse and Tavern, the premiere destination for fine dining in the Triangle since 1987. 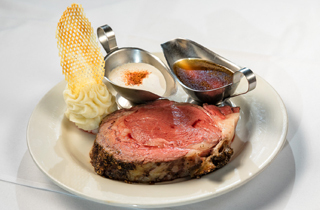 Independently owned and operated, Vinnie’s proudly serves Certified Angus Beef in a variety of cuts and sizes, featuring Prime New York Strips, Dry Aged Ribeyes and a Bone-In Filet Mignon exclusive to Vinnie’s. 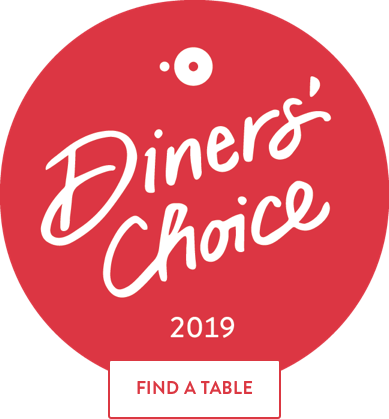 Vinnie’s also offers the freshest seafood available, including our Jumbo Cold Water Lobstertails, classic Italian fare, Farmer’s Market vegetables and homemade desserts. 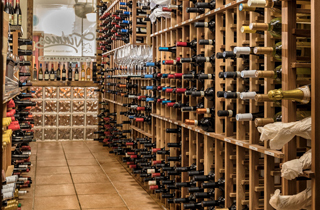 Our display wine cellar houses an extensive selection of wines from around the world and serves as a centerpiece to our intimate and elegant dining room. White linen, vintage leather chairs and sparkling crystal will set the mood for a more than memorable dining experience, no matter what the occasion. For those truly exceptional occasions, Vinnie’s has three private rooms to host special events for groups of 10-50 and limited banquet packages are available for groups of 16 or more. If a formal setting is not what you desire, Vinnie’s Tavern offers our full dinner menu, as well as a more casual Tavern menu. Our intimate covered patio is perfect for any season, equipped with heaters and ceiling fans offers fabulous outdoor dining nearly year-round. An ever-changing selection of wines by the glass, premium bourbons and single malt scotches,a unique cocktail menu and a wide array of local NC beers, domestic and imported specialty beers ensures a libation to suit every palate. Please join us for your next night out and let Vinnie’s Steak House and Tavern become a tradition with you.